-Keep in mind the concept of the art of running bait, your "slasher" or attractor is acting as a predator slashing through a school of bait. 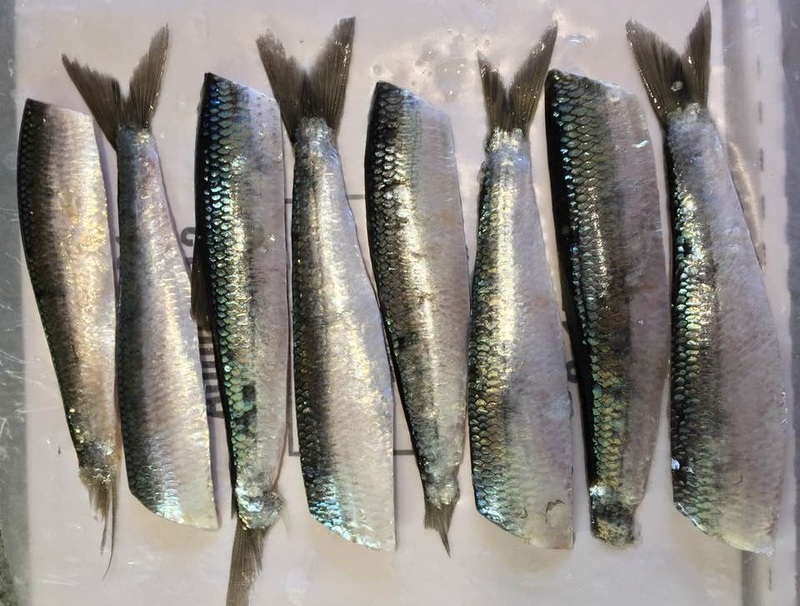 Also the entire rig could emulate this same school of baitfish, in either case the lagging bait is easy prey as it trails behind. A chip in the armor is a tell-tail sign of either being struck or simply wounded, therefor lagging behind. Don't be hesitant to run a few pieces that may not look perfect or have a few blotches of missing scales. -When deploying a fresh strip of bait into the depths be sure it smells fresh, that it has at minimum a mild shine, a fresh look is a must. It must "roll", but doesn't matter if it rolls once or twice a second. Very very successful anglers who run meat often like their baits to roll like a cork screw, others like a slower roll and find success. As proven often, dialing any technique in is a must.